Alice's grandmother Althea is a famous writer. Alice has never met her grandmother and also hasn't read any of her stories. Ella wants Alice to stay away from her grandmother. She doesn't allow any contact. 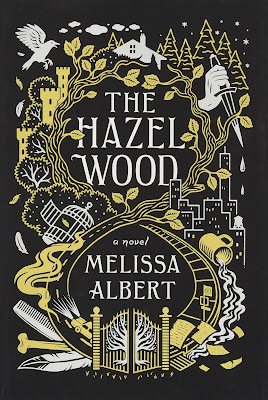 Bad luck is following Ella and Alice and Althea's estate, Hazel Wood, is the last place they should be. Ella and Alice are constantly on the run and they have moved many times, they leave as soon as what's following them is catching up. Alice is curious about Althea and her dark fairytales, but Ella isn't giving her any information. What is her mother keeping from her? When Alice and Ella finally have some stability in their lives Ella disappears, she's taken by faul smelling people and there's a link between the abduction and Althea's stories. If Alice wants to find her mother she has to become part of her grandmother's dangerous world. However, Alice doesn't know anything about it. Fortunately one of her classmates is a big fan. Finch has read Althea's stories numerous times and he knows a lot about Alice's grandmother. Will he be able to help Alice with her search? 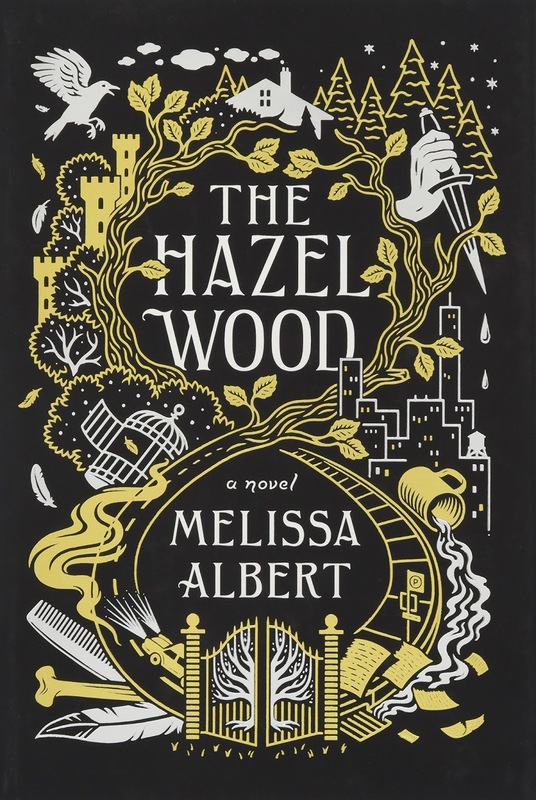 Alice's mother warned her not to go to Hazel Wood, but that's exactly where they're headed. Will Alice finally discover her own story and will she be able to locate Ella? Alice is about to deal with dangerous magic, will she survive? The Hazel Wood is a terrific gripping story. I was immediately intrigued by Alice. She has a fascinating multilayered personality. There are plenty of hidden depths in her character and Alice doesn't completely know herself. I loved the secrets that evolve around her, she has dreams, but she's ignorant about most of them and that made me really curious. Althea is a mystery and the worlds she writes about are dark, dangerous and intriguing. I couldn't wait to find out the connection between Alice's bad luck and her grandmother's stories. Alice's adventures kept me on the edge of my seat. While looking for her mother she finds herself in one bizarre situation after another and I was mesmerized by her journey from beginning to end. Melissa Albert skillfully mixes worlds, realities, fairytales and dreams. I loved the way she describes Alice's personality, her family history and the tumultuous road she has to travel. Every part of it is exciting and filled with sparkling energy. I was impressed by the way Melissa Albert tells her story, it's controlled chaos, mixed with surreal twists and turns, devious enchantments and strange and complicated surprises. I greatly admired the creativity of the story, it's truly magical and absolutely spellbinding. I highly recommend this fantastic book. If you love fabulous world building, dark fairytales and creative fantasy you should definitely read The Hazel Wood. I can't wait to read this! Thanks for your review. I love this series! I love books with magic and complex characters, this sounds awesome! Thanks for sharing it. I like the story idea and the creepiness. Looks amazing. This sounds like right up my ally. This is so intriguing! I have so many questions... And I probably don't even know what kinds of questions I haven't thought of yet! So much is in the dark, or in the half-dark. What a captivating read; thanks for the review! I was going to say that this sounds like a big mish-mash of ideas but you put it so much better, Suze: 'controlled chaos'! Merci pour cette entretien ! Un livre qui me tente bien ! Multilayered personality with a lot of hidden depth in Alice' character...sounds really intriguing. The covercover is beautiful and drawing me to. Thanks for the review.